Sitting in southeast England not far north from the mouth of the River Thames, Basildon is a town in the county of Essex. With a population of approximately 110,000 and a great location close to London, the property market in Basildon is strong. At My Home Move Conveyancing we have been improving our understanding of this local market since 2002, which allows us to offer our clients in Basildon a specialist fixed fee conveyancing service. When buying or selling property in Basildon, you must instruct the services of a lawyer to complete the legal work on your behalf. By selecting My Home Move Conveyancing as your Basildon conveyancers, you’ll reap the benefits of our award winning customer service, innovative use of technology and intimate knowledge of the local market. You’ll know exactly what you’re going to pay right from the beginning, as our conveyancing service is fixed fee. 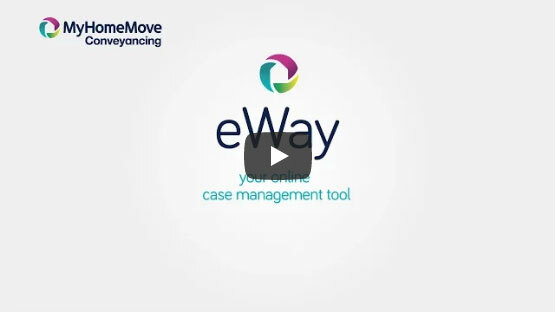 If you don’t end up moving for some reason, you won’t have to pay us a penny in legal costs. We assign each of our clients a dedicated conveyancer who will oversee your case from start to finish, providing you with a consistent point of contact and regular updates on your progress. At My Home Move Conveyancing we are proud to assist homebuyers with our conveyancing services in Basildon across the local area, including those looking for something in the town centre, spots such as Lee Chapel and Langdon Hills, or close to Basildon Golf Course around Clay Hill Road. The average house price in Basildon is £281,747. Over the last year, the majority of sales involved terraced houses, which went for an average of £225,100. Flats sold for £146,819, while the similar number of detached and semi-detached properties fetched £390,560 and £263,400 respectively. With a recorded history that stretches back to the Domesday Book of 1086, Basildon was designated as a New Town in 1949. This saw plenty of regeneration in the area, despite Basildon initially resisting the pull of the railway so that it didn’t become another commuter town for London. Less than 30 miles from Central London, yet with plenty of lovely surrounding countryside, Basildon is now very much a popular place for commuters to the capital to live. Rail services to London take less than 40 minutes from Basildon, which has three stations on the London, Tilbury and Southend Line. The town has a great location close to the southeast coast of England, with seaside resorts like Southend-on-Sea just a short distance away. The A127 road heads east to Southend, and west towards London and the M25 motorway. There are some excellent schools in the area for families with children to consider. St Anne Line Catholic Junior School, Lee Chapel Primary, and Great Berry Primary in Langdon Hills are among the options for younger children. Secondary choices include De La Salle School and Language College, Woodlands School and the Basildon Academies on Wickford Avenue. All properties in Basildon will fall within one of the following council tax bands.